If you or your loved one is residing at an assisted or independent living please consider arranging a group to enjoy an authentic Torah class. 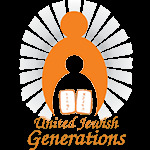 At United Jewish Generations, we believe that no Jew should be denied the right to our tradition and heritage. We provide Jewish teachers and scholars to share their wisdom and insights to Jewish residents. Torah classes are like super-food for the soul and like cold water to the thirsty. They are enjoyable, interactive and mind-opening. Questions, discussions and peaceful debates are always welcome and even encouraged. Subjects vary between Talmudic stories, weekly Torah portion, Megillah of Esther, Jewish law, history of the Jews, Jewish ethics and more. United Jewish Generations believes that the best way to stay healthy is by keeping the mind stimulated and especially with Torah Study. Torah classes can be daily, bi weekly, weekly, monthly or before holidays. Please click here to contact us to arrange a Torah class.